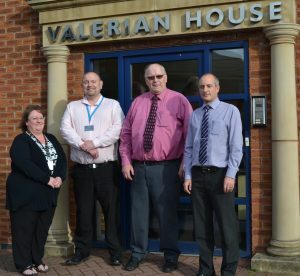 The GRG Public Resources Directors: Patsy Tomlinson, John Marks, David Marks and Bruce Ridley outside their office at Valerian House on the Staffordshire Technology Park. Father and son David and John Marks are dialling up business success after completing a management buy-out at GRG Public Resources. The duo have launched Call Handling Stafford as they begin plans to remodel the business which employs 43 on the Staffordshire Technology Park, Stafford. Meanwhile, two long serving staff members have been rewarded for their work by joining David and John as Directors at the company. GRG PR has a long history of working with UK police forces to provide 24/7 services such as vehicle recovery and emergency boarding-up services for premises hit by crime. A keen eye for a business opportunity has led GRG PR to open Call Handling Stafford, which provides a complete call handling solution for local business. 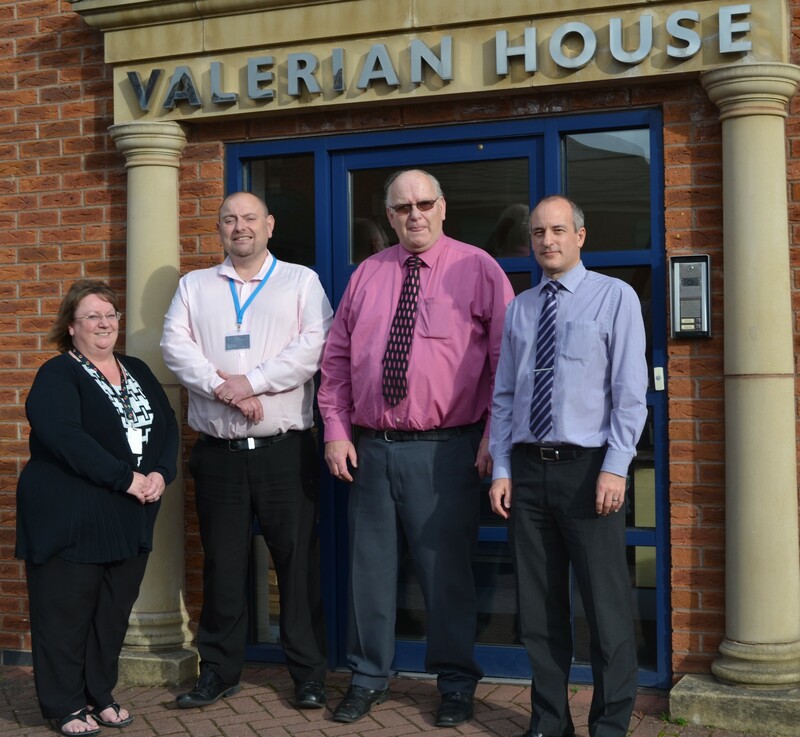 John said: “We have an experienced team based at Valerian House, Stafford, and when the opportunity arose to buy the company we had no hesitation. “Our first instinct was to reward the loyalty and experience of our staff and we appointed Bruce Ridley and Patsy Tomlinson to the board. “We also wanted to extend our business offer and bring forward services which allow us to work with local companies. Call Handling Stafford is a perfect fit as it allows us to use expertise in our Stafford call centre to provide a full call handing service to clients. “The fact that we have staff here 24 hours a day means that business owners who have overseas clients or provide a service after dark can be assured that their business calls will always be answered and logged. Call Handling Stafford answers calls in the name of the client and then sends immediate information via email to them. Further services include a virtual receptionist service where calls are met with a professionally recorded greeting and then routed through to the relevant person in the customer’s business and a capacity for Call Handing Staffordshire to act as a payment centre for online companies. For further information on Call Handing Stafford please go online to http://www.callhandlingstafford.co.uk/ telephone 01785 532 200 (24 Hours).